Measures and targets are important for driving change in behaviour and change in processes. Managers should pick the right metrics with targets that are stretching, but also achievable. If they pick the wrong measures, this will result in them driving change in the wrong direction. 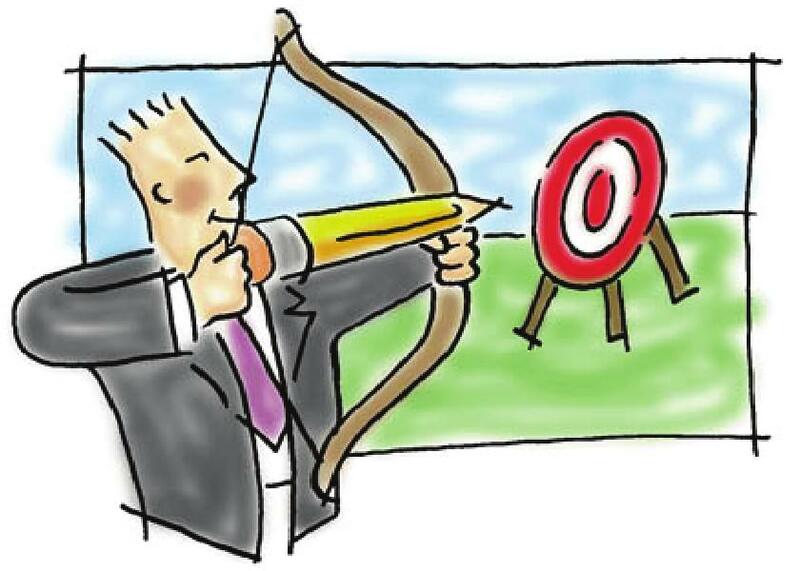 Picking a target that is too easy will not motivate people with enough challenge, and this may leave unrealized gains. On the contrary, picking too difficult targets will overwhelm people. The reason why most organizations fail to get all their objectives and measures right is because of lack of understanding of the drivers of business. Additionally, they treat performance measurement as a once in a while process, say once or twice a year. In other words, they want to get all their objectives and measures right the first time, forgetting that this is an evolving process that calls for continuous improvement. Today, business models are dynamic. This means as an organization you constantly need to re-evaluate your strategy map and add new objectives and measures to maintain your momentum and direction toward your goals. When developing your organization’s strategy map, it is important to ensure that the team involved is cross-functional and have awareness of all parts of the organization. This is critical to ensuring that there is a balance in objectives and measures. If inexperienced people are used to develop measures, the developed measures will usually be heavily weighted toward the financial perspective of the balanced scorecard because finding the “critical few” measures of the financial perspective is usually quick and obvious. Having the right number of measures is key to successful performance measurement, monitoring and improvement. The more metrics you have, the harder it will be for you to form a clear picture of your strategic model’s drivers and interactions. If you have more than the “critical few” measures, you are destined for failure. This is true because no one will know which particular metrics are important for driving the business and signalling success. Identifying the “critical few” metrics is therefore important as this helps bring clarity, alignment and focus on what is important. For the leadership team to form a mental model of what are the most important drivers of performance and the most important results to be expected, the balanced scorecard in use by the organization must have a good mix of leading and lagging indicators. Leading measures drive organizational objectives where as lagging measures are the results of objectives. Because of the causal links on a strategy map, management should know and understand that lagging (result) metrics from one objective will be the leading (driver) metrics into other metrics. As the old saying goes, “What you measure is what you get”. If you measure the wrong things, you will get the wrong results. It is therefore important that management select those metrics that drive the behaviours and process changes they want. However, you need to remember that it is not just metrics and measurement that make a huge difference. You need to align the organization around the strategic model, foster a culture that reinforces change, and then monitor and manage with the measures. Furthermore, you also need to develop a system of ownership and accountability through every level of the organization. What do we need to change to reach this objective? Does this metric drive the change in behaviour we need? Does this metric measure the change in processes we need? Is this metric fair and understandable by all? Is this metric the best measure of success or driver for this objective? Will this metric enable us to prove how our business model works? We will be able to change our organization because of changes in this metric? Is the data clean and usable? What actions are needed if this metric changes? What target and alert levels would signal the need to take action? How often do we measure? Who is responsible for measuring and reporting the metric? Is there data ownership of the metric? How is the data stored and maintained? The measures you choose will make the difference to the results of your balanced scorecard. Employees will work hard to give you what you measure, so choose measures that reflect the causal links on your strategy map.